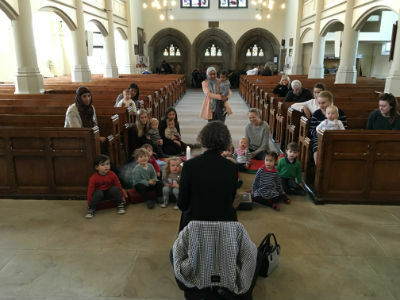 The ABC club (adults, babies and children) meet at Christ Church during term time on Thursdays between 10.00am and 11.30am. The group aims to create a happy and safe area for children to enjoy a relaxed and fun time with their parents and carers. They are a great way to help young children adjust to the bigger world as it gives them the opportunity to play and to interact with other children before they start nursery school. It also offers an opportunity for the adults to meet new friends and enjoy a cup of tea or coffee while their children are busy. Each week there is a story time and a singalong of the children's favourite songs and nursery rhymes. There is no subscription, just a £1 donation per session. New members are always welcome.